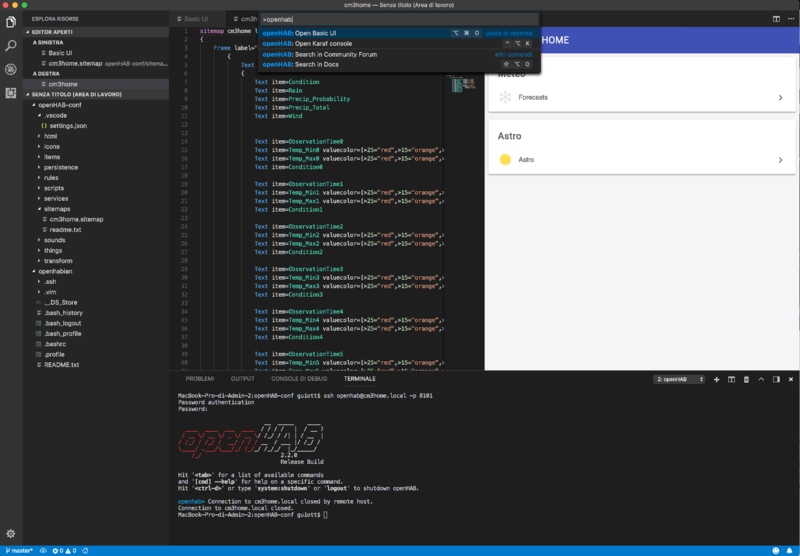 The most recent and easy tool to manage OpenHAB configuration is Visual Studio Code. 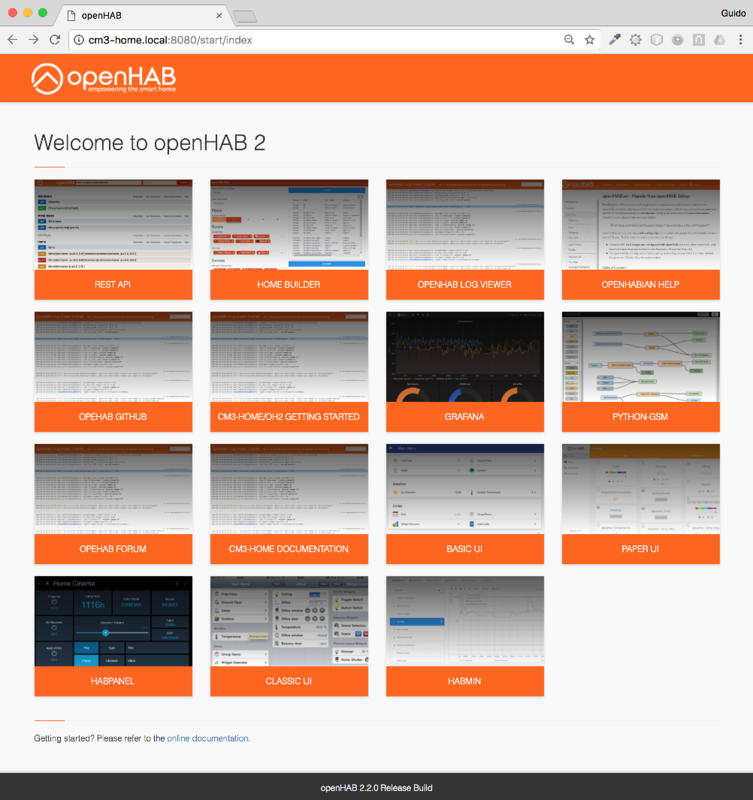 An explaination here about how to install and configure it to work with OpenHABian. 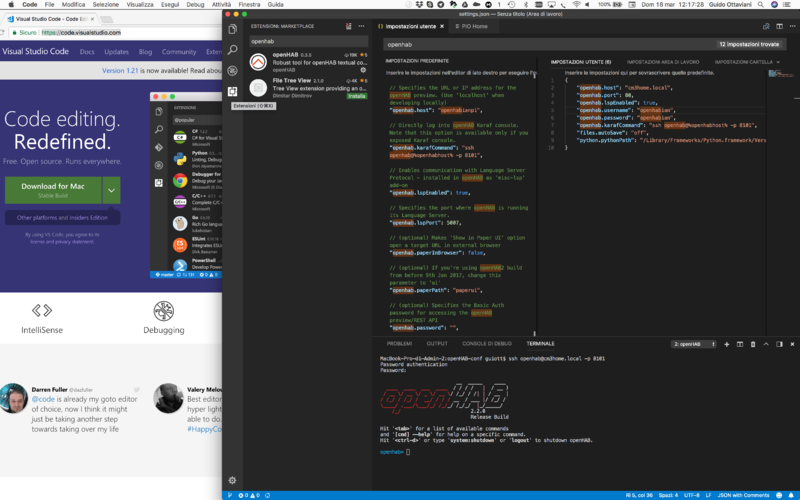 and add the folder to Visual Studio Code workspace. As an example will be described here the design of an habpanel for the Weather Binding. 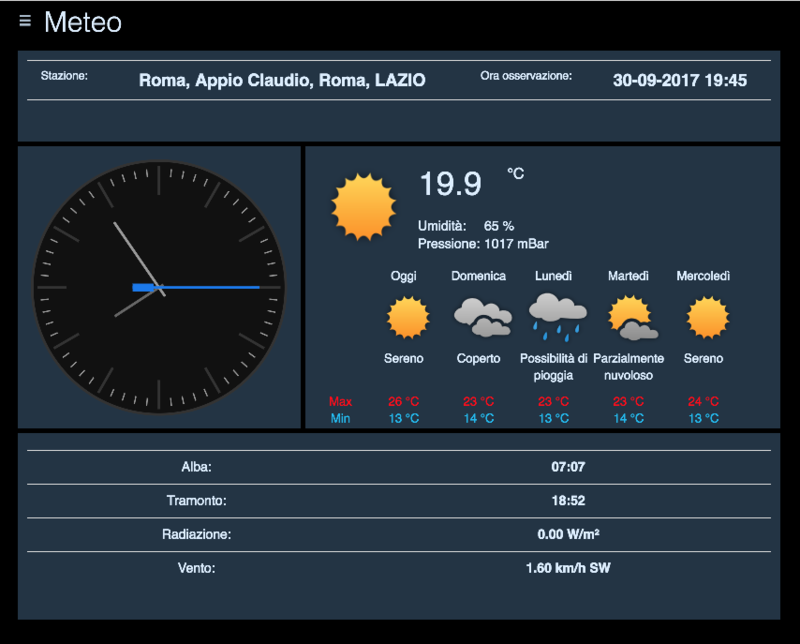 On the contrary to the widget described in openhab_weather, in this example we don’t use the standard frame type widget. 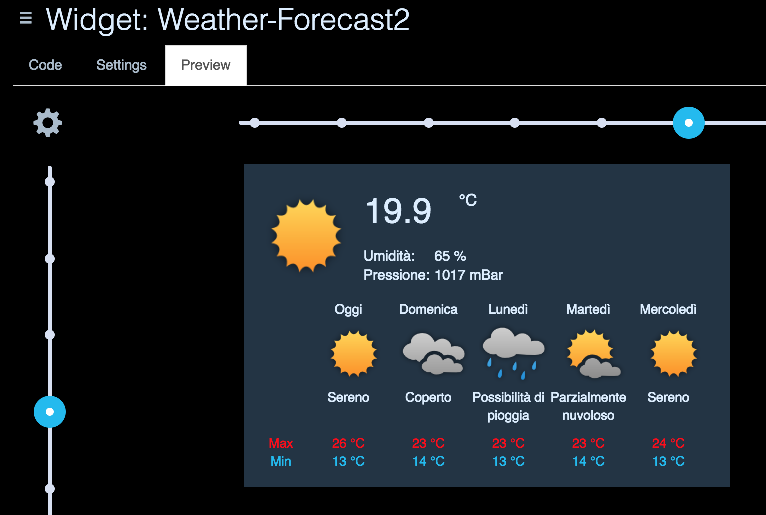 The HTML will be coded directly inside the widget itself, created as a custom widget. 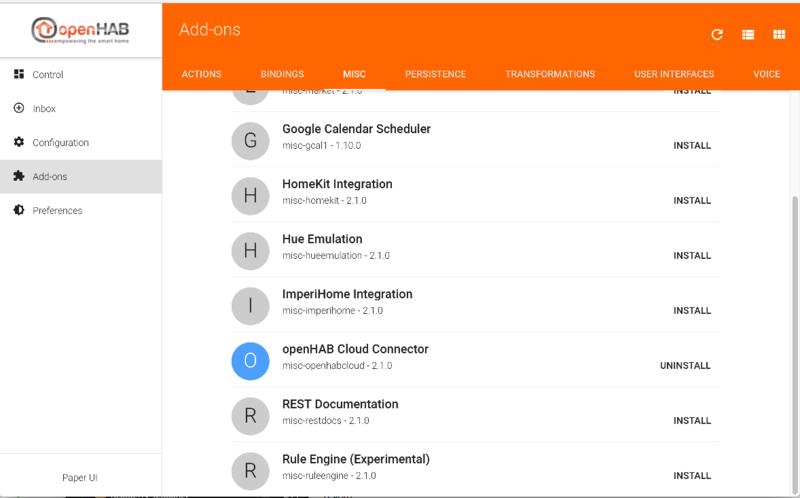 Because this web page is published by the OpenHAB internal web server, it is visible also through the cloud services. Using a frame widget that publishes an external web page instead, this one can be viewed only inside the same network. 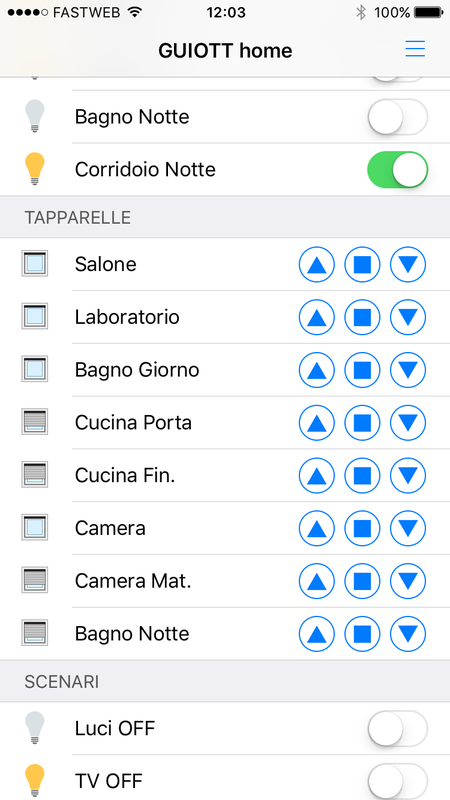 The stilesheets and the icons come from the same openhab_weather widget folder using the relative path. Changing the IconSet=’directory’ with the desired icon set name, we can change the icon style for the whole widget. It’s possible to change the language of the captions by changing the weather.cfg file. Verify the language supported by the provider used. In order to have an automatic update of the displayed text when the values change, the system uses AngularJS. The text management and formatting must be applied using this language specific syntax. Take a look also at this article on how to create the SD card. ATTENTION all the installation procedures are really long lasting, please be patient. Once installed OpenHABian following the instructions, you need to proceed with customizations and add-ons installation. Many operations are eased using the OpenHABian environment equivalent to raspi-config. to change password, host name, WiFi, etc. In order to verify the configuration you can use the karaf console. Let’s take the knx binding as an example. Hit '' or type 'system:shutdown' or 'logout' to shutdown openHAB. The configuration is dynamically loaded as soon as the cfg file is saved (/etc/openhab2/services/knx.cfg in the example). There are some little differences between CM3-Home and Raspberry PI 3 because of the greater hardware equipment. To redirect the system console to the debug port you have to also edit the file /boot/cmdline.txt modifying ONLY the instruction related to the console, KEEPING INALTERED ALL THE REST. Paper UI is the starting point for every installation and configuration. The files content is needed to setup the cloud service. A complete tutorial about installation and configuration is available on Youtube. 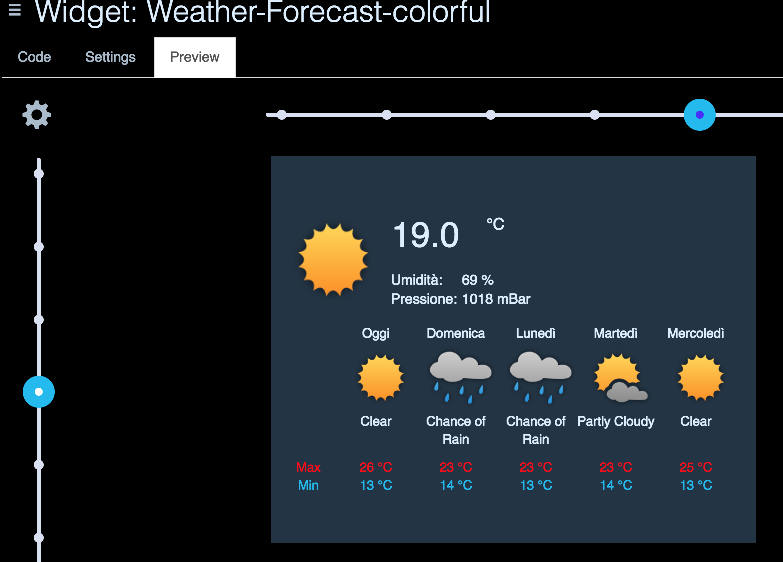 The same functions available on local UI can be used also on mobile device once connected with the cloud service.